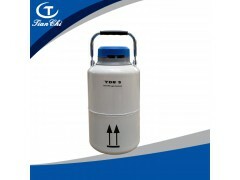 Company: Henan Tianchi Instrument Equipment Co., Ltd.
Portable liquid nitrogen container is high-strength aerospace aluminum manufacturing,high vacuum multilayer insulation design,provide not less than five years of vacuum.The product with its simple intrinsic quality, reasonable product price, timely and thoughtful after-sales service for the development of animal husbandry to make its own contribution. 6. High vacuum multilayer insulation design, 'provide not less than five years of vacuum.